Training and Racing with a Power Meter is written by Hunter Allen and Andrew Coggan as an introduction to power meter training and analyzing. It is easy-to-read language throughout the book and if you already know a thing or two about using a power meter, you will finish this book fast. There is a detailed description on the different power meters on the market helping you decide which power meter is the right for you. I think this presentation is objective and quite useful for beginners. Thus, there are some pages you might skip if you already own a power meter. There is also a short intro to the main advantages by using a power meter. I agree with most of the words in these chapters. There are some examples of workouts you can do with a power meter. The testing procedure to make a power profile and training programs are different from the ones I prefer, but it would be boring if all coaches ended up with the same training programs. There are some good basic principles in these programs and just like all other programs they should be modified individually. The major advantage is that it clearly shows beginners how to train with a power meter and also underlines the importance of post-training and post–races analysis. The authors work closely together with TrainingPeaks which means that most analyzing refers to features in this software. This is logic but sometimes the book looks more like an extra manual to the software. When you look beside this, there is a great description of the features that TrainingPeaks offers. 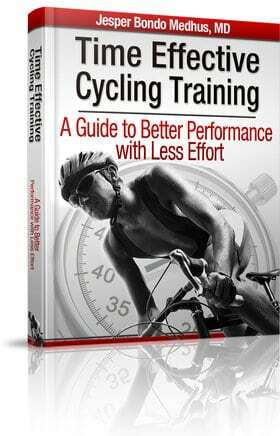 This is a great introductory book about training and racing with a power meter for beginners. It is also a nice book for coaches who haven’t yet had the pleasure to work with athletes using SRM Cranks or PowerTaps, but want to know what power meter training is all about. 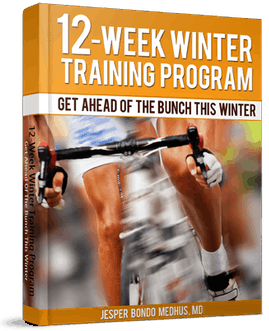 This book shows you why power meters are getting so popular and gives you the initial tools to getting started racing and training with a power meter. You can buy the book at Amazon for around $19 which is an extremely low price for so useful information.